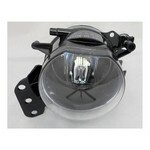 Replacement Front Fog Lamp unit to fit the BMW 5 Series (E60/E61) [2007 to 2010] Excludes M-Sport Models. Triangular (H8 bulb type) All items are aftermarket replacement OE style. Replacement Front Fog Lamp unit to fit the BMW 5 Series (E60/E61) [2007 to 2010] M-Sport Models only. Round (HB4 bulb type) All items are aftermarket replacement OE style. 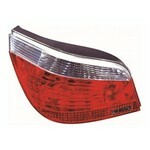 Replacement Front Fog Lamp unit to fit the BMW 5 Series (E60/E61) [2003 to 2006] Excludes M-Sport Models. Round (HB4 bulb type) All items are aftermarket replacement OE style. Replacement Rear Tail Light unit to fit the BMW 5 Series (E60) [2003 to 2006] Clear Lens Indicator All items are aftermarket replacement OE style.